At the beginning of A Twist of Fortune, Sergeant Winston Windflower watches in dismay as his girlfriend, Sheila, gets arrested during an illegal protest at the local fish plant. Then a snowstorm hits Grand Bank, Newfoundland, and a pharmacist dies in a car accident on the highway. What seems to be a straightforward investigation turns out to be a lot more when a body is discovered in the trunk of the car. A Twist of Fortune is the fourth book in the Sgt. Windflower series. The story is interesting and fun to read. Its main character is a likable mountie who doesn’t shy away from his duties and is honest and fair. His girlfriend, Sheila, has a bigger role in this book which is great as she was a little too in the background in the previous novels. 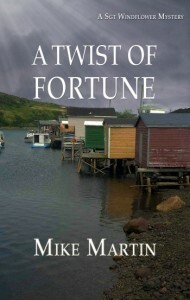 Mike Martin’s love of Newfoundland is evident when he writes about its history, its weather, and its fishing industry. The author also gives a glimpse into the aboriginal culture, as Windflower has a Cree heritage. For example, the main character performs smudge rituals in the mornings and is attentive to the significance of dreams. 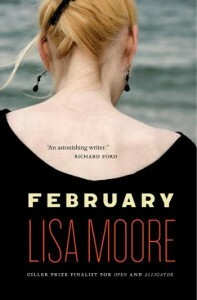 Short chapters give the story a certain rhythm, but I must say that I found it slow going at times. In addition, in the previous installment of the Sgt. Windflower series, Sheila was supposed to go back to school to study nursing, but there’s no mention of this in the new book. On the whole though, I enjoyed A Twist of Fortune and found that the author had made a lot of progress in his writing since Beneath the Surface. 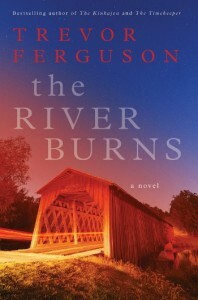 Readers who like a good mystery and descriptions of small town living will certainly appreciate this book. A Twist of Fortune was sent to me for free in exchange for an honest review. 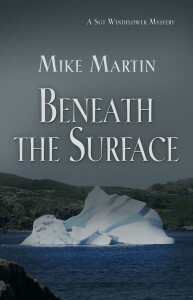 Read my review of Beneath the Surface, the third book in the Sgt. Windflower series. About the author and his work: Mike Martin’s Website. Mike Martin used to work for trade unions and social organizations. His favorite authors are Charles Dickens and JRR Tolkien. He also likes Agatha Christie, Ian Rankin, Donna Leon and Elizabeth George. Since food is very present in the series, people have suggested that the author write a cookbook. His books have been optioned for a Windflower TV series. You can purchase the book(s) by clicking on the image(s) or the link(s). Cécile Sune was born in Lyon, France, and her obsession with books started when she was 14. Her grandparents had lent her Gone With the Wind by Margaret Mitchell, and she spent part of the summer indoors reading. Needless to say, her tan didn't really improve that year! It was also around that time that Cécile fell in love with the English language. Several years later, in 1999, Cécile moved to Toronto, Canada, with her cat and 5 suitcases. 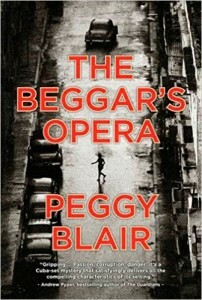 Her love of reading greatly increased when she discovered that English books were much cheaper than French novels. In 2013, she decided to start a blog to share her passion. Cécile now lives in Ottawa, Canada, with her husband and their daughter, and works as a freelance translator (CS Revision). Cecile has read 1 book toward her goal of 100 books.